What is an IBD? What’s Colitis? What, when, how, huh? . . . . .
Ulcerative colitis (UC) is not as well known as Crohn’s disease, but both are Inflammatory Bowel Diseases (IBD). According to MayoClinc.org, Inflammatory bowel disease (IBD) is chronic inflammation of all or part of your digestive tract. 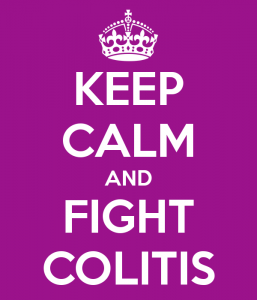 IBD primarily includes ulcerative colitis and Crohn’s disease. Both usually involve severe diarrhea, pain, fatigue and weight loss. IBD can be debilitating and sometimes leads to life-threatening complications. So yeah . . . that’s what I have, good ole Ulcerative Colitis (UC) . . 😦 Remaining hopeful. ← The beginning . . . .